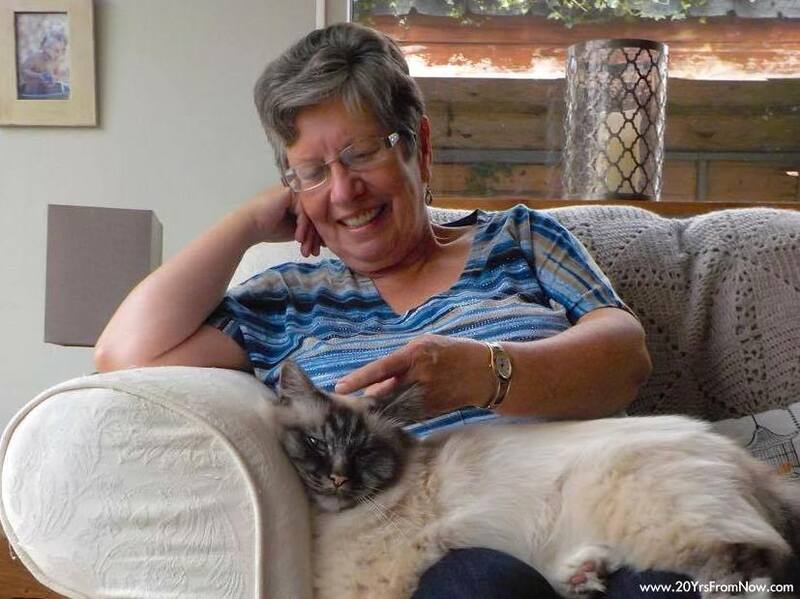 For eighteen delightful days this past May we housesat for a lovely couple in their beautiful home in a Norfolk village and immediately fell under the spell of their Birman cat, George. What a cutie! 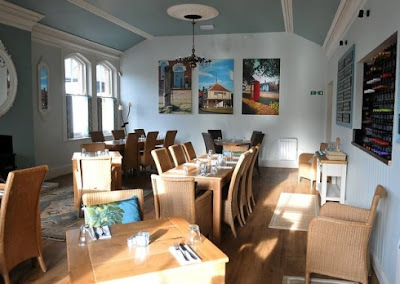 The village of Attleborough is situated between Cambridge, Ely and Norwich with easy access to all communities via the Abellio Greater Anglia train line. I noticed this flowering tree on the walk to the supermarket. A little further along I spotted this little guy gazing down at us from a top floor window. Of course, he doesn't hold a candle to George who enjoys being brushed. He didn't even blink an eye when I shot a video of his favourite space (the closet)! When George did venture outside he enjoyed sitting on the fence at the far end of the yard and on more than one occasion John joined him for a little one-on-one time. We were also in charge of the koi pond and fed the fish while the homeowners were away. 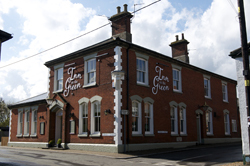 Before Sheila and Chris left for their vacation they took us to the Inn on the Green Pub in nearby New Buckenham. Chris is a man of many talents and three of his photographs are displayed in one of the dining areas of the pub. We can't thank Sheila and Chris enough for making us feel so welcome in their home and giving us the opportunity to spend time with Gorgeous George. We enjoyed every minute of our stay and it really was a struggle for me not to stuff George into my backpack before we said good-bye!